Everyone...Just look how beautiful...Nice icing on a Cake. No mess just using a icing tool. I feel like trying it for Xmas on a Red Velvet Cake. 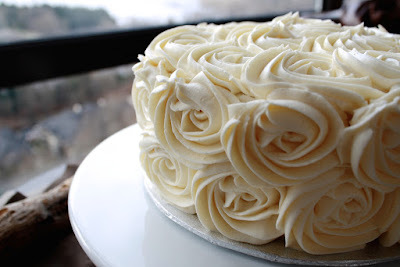 The Rosettes on this Cake are wide not small and that make it a plus.